Levante production will continue Mirafiori, with employees taking turns in working on the line. MILAN -- Fiat Chrysler Automobiles will partially lay off more than half the workforce at its under-used Mirafiori plant in Turin, as it retools the factory to build electric cars. FCA told unions on Tuesday that 3,245 blue and white-collar workers will be laid off temporarily "for plant restructuring." 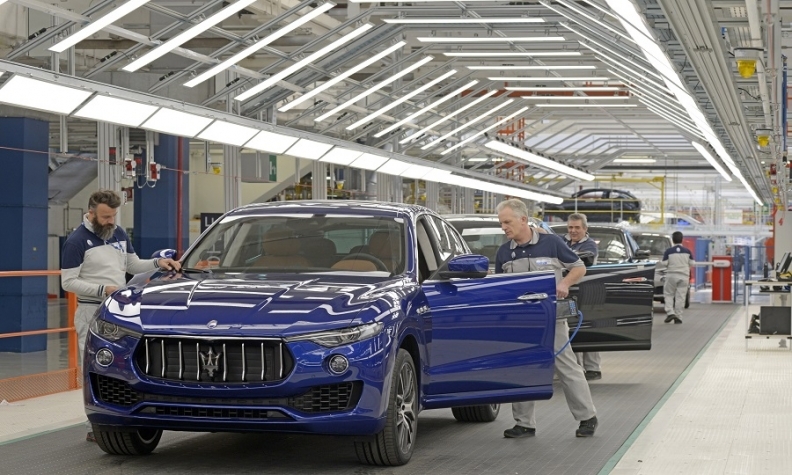 The factory currently builds only the Maserati Levante SUV, whose sales have been falling in its main markets of China, Europe and the U.S. Starting in 2020, the factory will add production of an electric version of the Fiat 500 minicar. The layoffs will affect all the workers in the Mirafiori assembly plant. Some 2,445 workers will be partially laid off on Jan. 1. 2019 and 800 more will follow by March 4. The layoffs will last until Dec. 31, 2019. Employees will attend training for electric and hybrid powertrain technologies, FCA told unions. Levante production will continue with workers taking turns to go into the factory to work on the line or staying at home. During the layoff period they will receive a reduced salary from a program funded by the Italian government and employers. The Mirafiori plant has about 5,000 employees including workers in its assembly, stamping and powertrain areas. Besides being in Fiat's Turin home city, it is also the automaker's oldest factory in Italy. It is also home to an FCA manufacturing headquarters that employs about 5,000 office and engineering staff who are not affected by the layoffs. Mirafiori has been under-utilized since the 2008/2009 global recession. It once produced volume models such as the Punto small hatchback, which has been discontinued, and the first-generation Panda minicar. The Alfa Romeo Mito, the plant's second production model with the Levante, was discontinued in July. According to the FIM-CISL union, Mirafiori production fell 31 percent to 25,881 units in the first 9 months. Levante sales declined by 24 percent in Europe in the first 10 months to 3,777, according to JATO Dynamics market researchers. Levante sales in the U.S. fell 14 percent to 4,205, according to the Automotive News Data Center. FCA said on Nov. 29 that it plans to spend more than 5 billion euros ($5.7 billion) on new models and engines in Italy over the next three years to try to make better use of factories and boost jobs and margins.